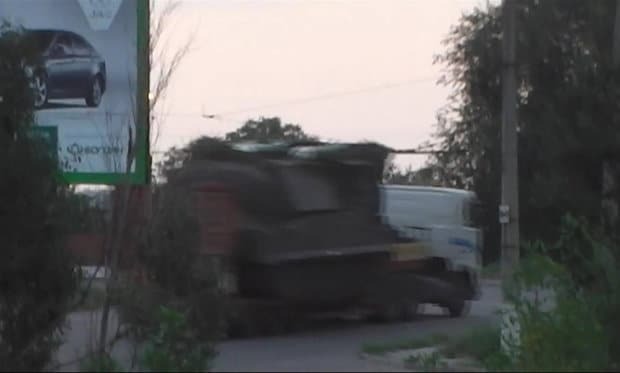 Is this video footage stills proving the existence of a BUK missile launcher in separatist’s hands just 2 hours prior to the downing as it was being moved into position? 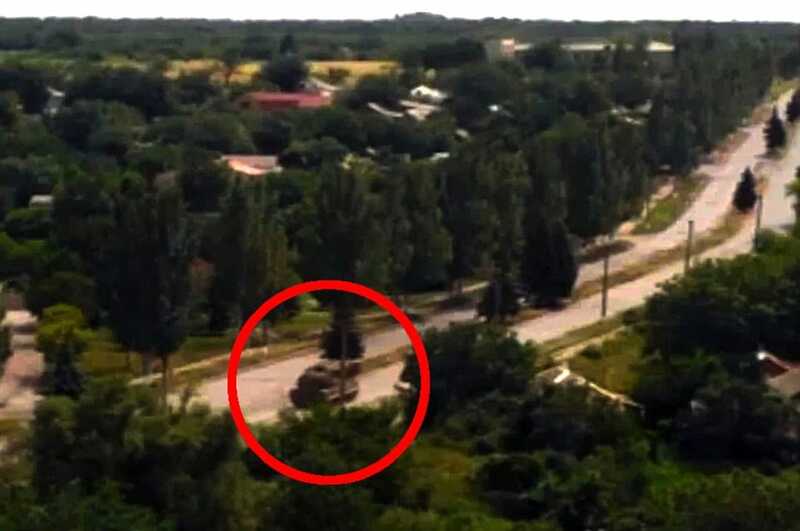 Evidence is now pointing to the fact that a BUK missile launcher had been moved into position just 2 hours prior to the fated Malaysia Airlines MH17 flight downing. 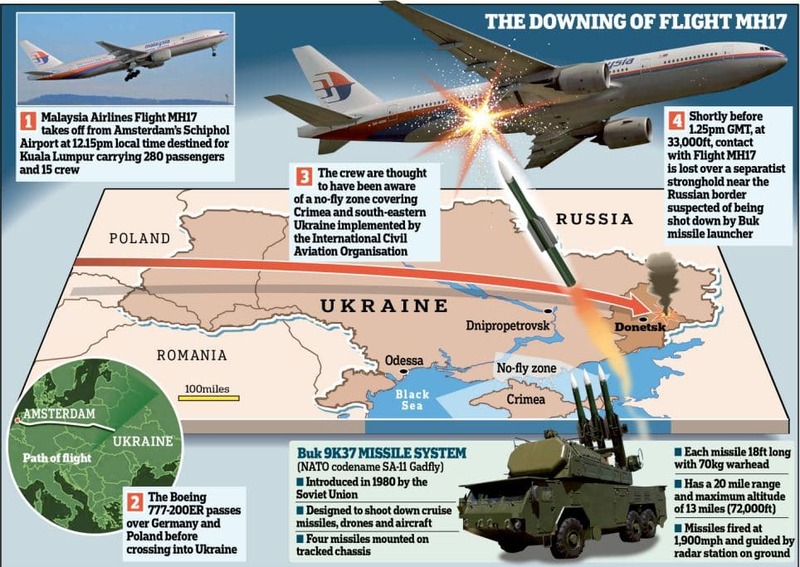 The assertion tells the UK’s dailymail comes via Dr Igor Sutyagin, Research Fellow in Russian Studies from the Royal United Services Institute, who believes that Malaysia Airlines flight MH17 was shot down by rebels based in the 3rd District of Torez. Dr Sutyagin said the evidence that Russian separatists were responsible was very strong – and that there’s even a suggestion the BUK missile launcher was being manned by soldiers from Russia. ‘Later, there was lots of video posted of the plane falling down and rebels saying that “it was not pointless moving it [the BUK] there”. Dr Sutyagin drew attention to a Russian link to the tragedy. This video would be taken down once it was learned that the downed plane was civilian. The expert implicated Russia further, revealing that the former commander of Russian Air Force Special Operations Command, a Colonel-General, stated recently in an interview that the separatists did not have the expertise to operate the BUK launchers, that only Russian personnel could do so. It’s also suspicious, Dr Sutyagin said, that Russian news agency RIA Novosti reported the crash at 16.13 Moscow time, several minutes before the crash actually happened – at 16.20. 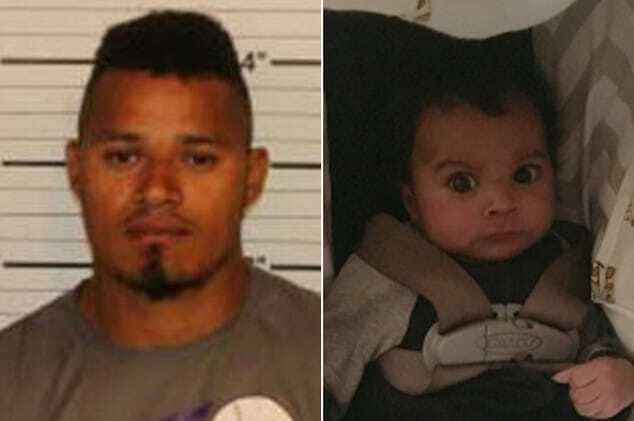 ‘The plane is safely in the sky, and RIA Novosti publishes information that it has been shot down,‘ he said. Dr Sutyagin also told MailOnline that information had been leaked from a source he was unwilling to name that the pilot of MH17 ‘felt bad’ about his course over Ukranian airspace, so turned south. Little did he know, according to Dr Sutyagin, that his plane would then be mistaken by rebels for a Ukrainian government resupply flight. He said: ‘There is a Ukrainian mechanised brigade blocked by separatists near the Russian boarder. It’s blocked on three sides by separatists and behind the brigade is the Russian boarder, so they can’t get out. The Ukrainians try to resupply them from the air by transport aircraft. ‘Now, the pilot of MH17 said that he “felt bad” and wanted to change course to get out of the danger zone. But several kilometers to the south is a Ukrainian Army heavy transport plane, an IL76, or Candid, which has the same echo as a 777 on a radar screen. 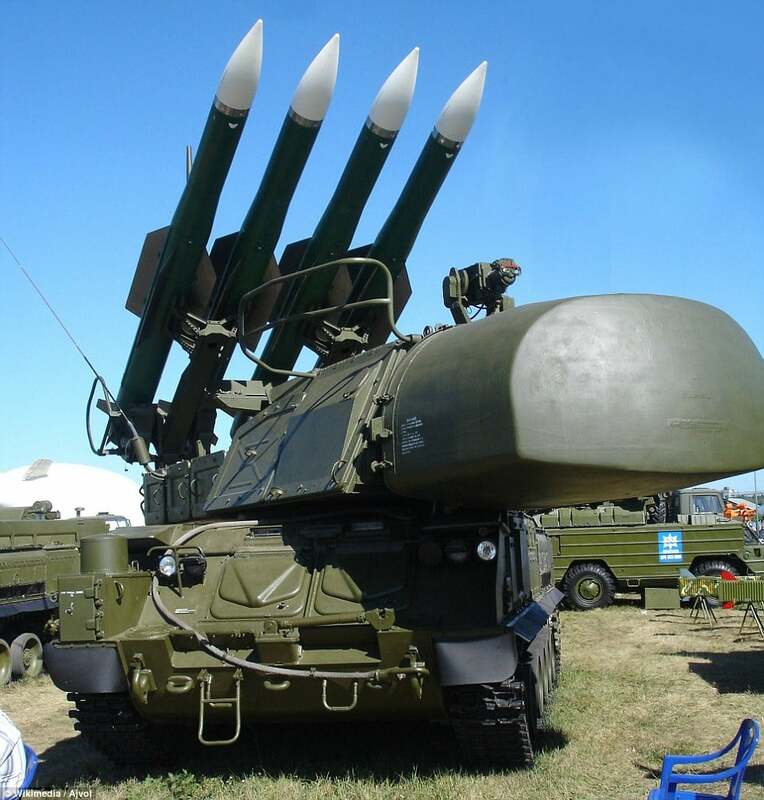 The Buk anti-aircraft missile system suspected of being used to shoot down the Boeing 777 has been smuggled to Russia, Ukrainian official Anton Gerashchenko claimed today. 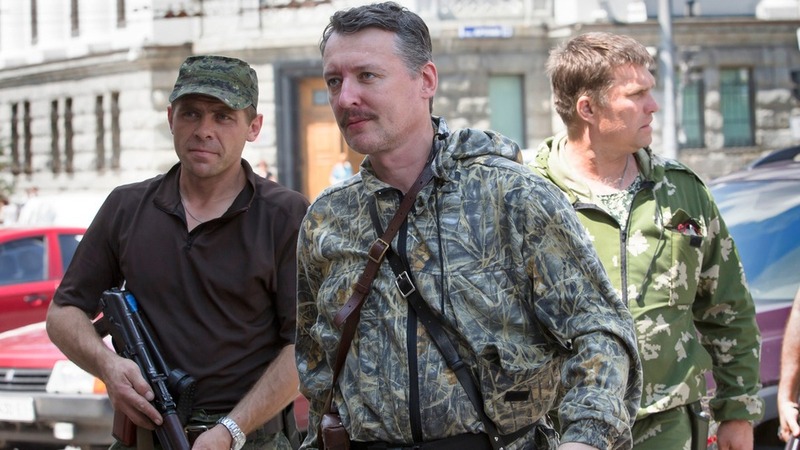 ‘International terrorist Igor Strelkov, aka Girkin, last night visited Snizhne to settle the situation with the downed Malaysian Boeing,’ he claimed. He claimed that the ‘direct performers of the terrorist attack’ are also likely to have been killed to avoid any witnesses. 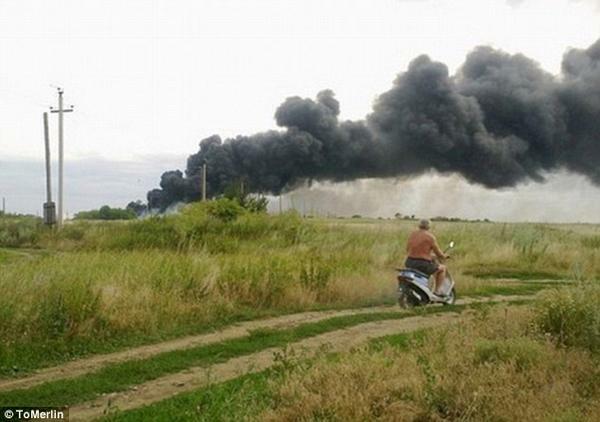 The rebels ‘happily announced that they had downed the Ukrainian AN-26‘ when in fact they had shot the Boeing, he said. The Security Service of Ukraine (SBU) reportedly released recordings of the intercepted phone calls between Russian military intelligence officers and Russian-backed Cossack militants to the Kiev Post. 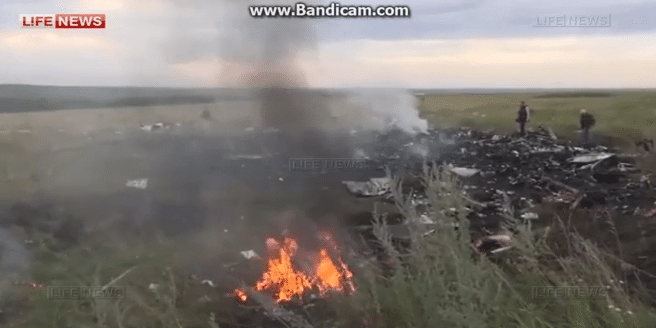 The phone calls, which could prove damning to Vladimir Putin, are allegedly from minutes after the Boeing 777-200 crashed and were apparently made near the village of Chornukhine, which is 50 miles north-west of Donetsk, near to the border with Russia, where the aircraft came down. Igor Girkin the self proclaimed defense minister of Ukraine‘s breakaway, Donetsk People’s Republic believed to have authorized attack. 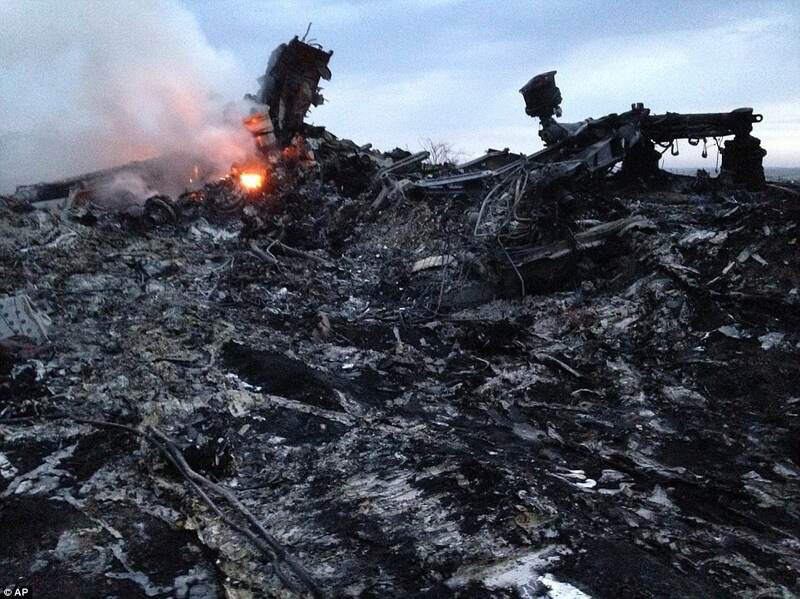 The first phone call was reportedly made at 4.40pm local time, or 20 minutes after the crash. 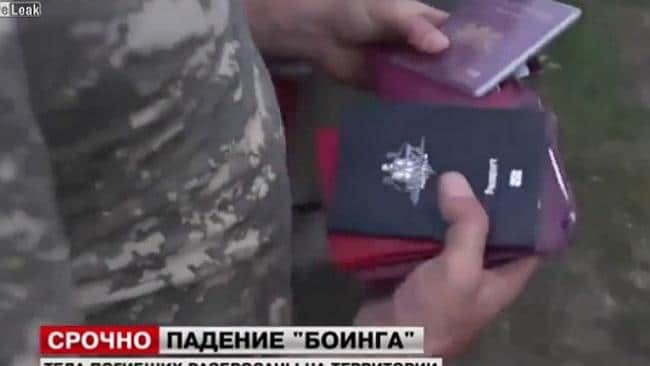 On the line allegedly is Igor Bezler, who according to the SBU is a Russian military intelligence officer and commander of the self-proclaimed Donetsk People’s Republic. He is apparently on the phone to a colonel in the Russian Federation armed forces named Vasili Geranin, explaining that the plane has gone down. 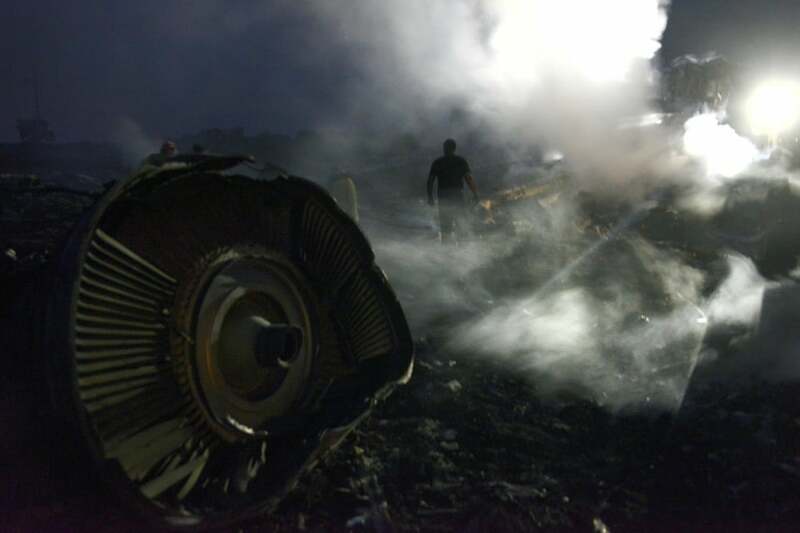 The SBU also released to the Kiev Post another telephone conversation between two militants identified only as ‘Major’ and ‘Grek’ who have apparently returned from the crash site. 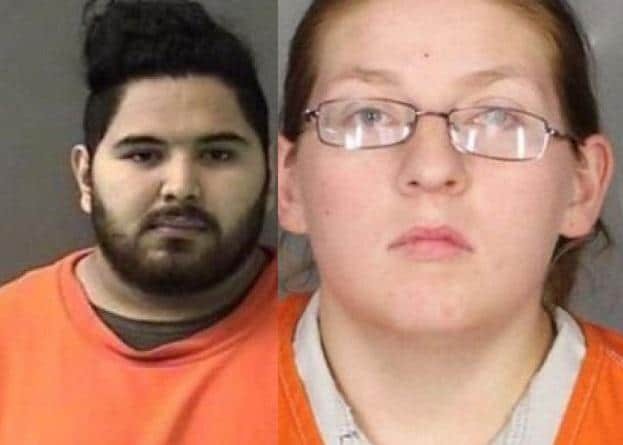 This phone call takes place 40 minutes after the phone call which allegedly took place between Bezler and Geranin. A third part of the conversation that involves the ‘Major’ and ‘Grek’ seems to bring in Cossack commander Nikolay Kozitsin, who suggests that the Malaysian Airlines plane must have been carrying spies, otherwise it had no business flying in that airspace. 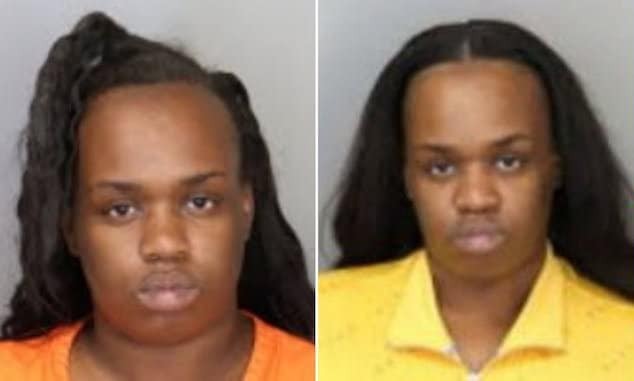 During the phone call between ‘Grek’ and the ‘Major’ they exclaim, ‘holy s***’ when they realize their error in shooting down a passenger jet. 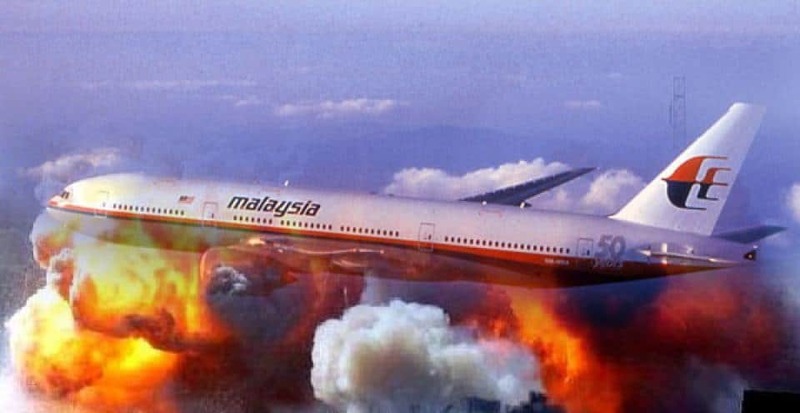 SBU chief Valentyn Nalivaychenko based his allegation on intercepted telephone conversations between the two officers and pro-Russian fighters, one of whom referred to seeing ‘a sea of women and children’ in the wreckage of the Malaysia Airlines Boeing 777. ‘They discuss Russian saboteurs bringing down a passenger plane. 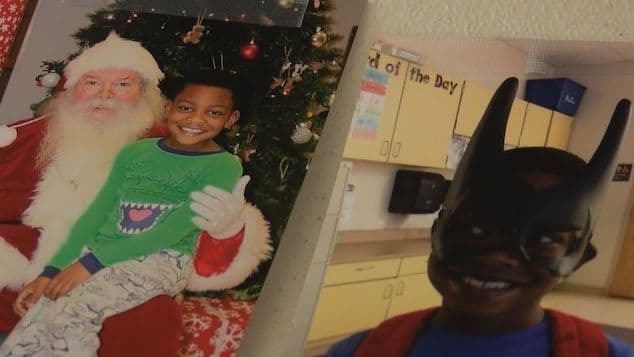 They discuss the number of victims. We have fixed this conversation as taking place at 4.20. Now you know who carried out this inhuman crime against humanity,‘ Nalivaychenko said. Russia’s Interfax news agency quoted Donetsk rebel spokesman Sergey Kavtaradze as denying that the intercepted phone conversations were genuine. Shortly after the passenger plane was downed, Igor Girkin the self proclaimed defense minister of Ukraine‘s breakaway, Donetsk People’s Republic, tweeted a boastful message claiming responsibility. At the time, he apparently believed he had shot down an Antonov-26 military plane of the Ukrainian Air Force, saying it landed near a mine named Progress. His chilling message read: ‘In the area Torez we just hit down An-26, it’s lying somewhere in the mine ‘Progress’. ‘We warned you – do not fly in ‘our sky’. And here is the video confirmation of the ‘bird dropping’. Later as the horror became clear, the tweet was deleted. 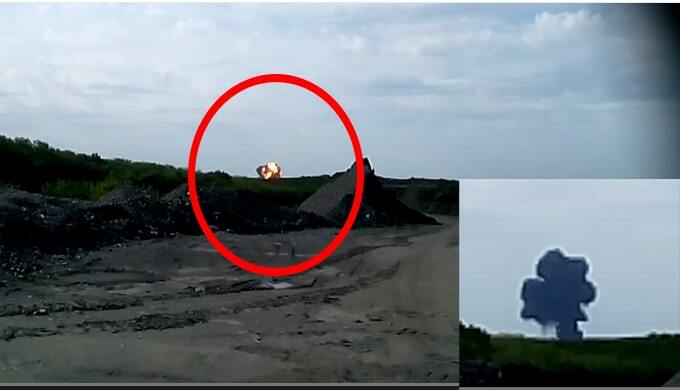 Further evidence pointing towards Russian involvement would come at press briefing in Kyiv, Ukraine this morning where SBU showed a radio conversion allegedly between the Russian MiG-29 pilot and his base as he attempts to shoot down a Ukrainian aircraft. The conversation starts after the sixth minute. Concerning the delivered Buk system from Russia, the SBU says it crossed into Ukraine at 1 a.m. on July 17 close to the town of Sukhodolsk. 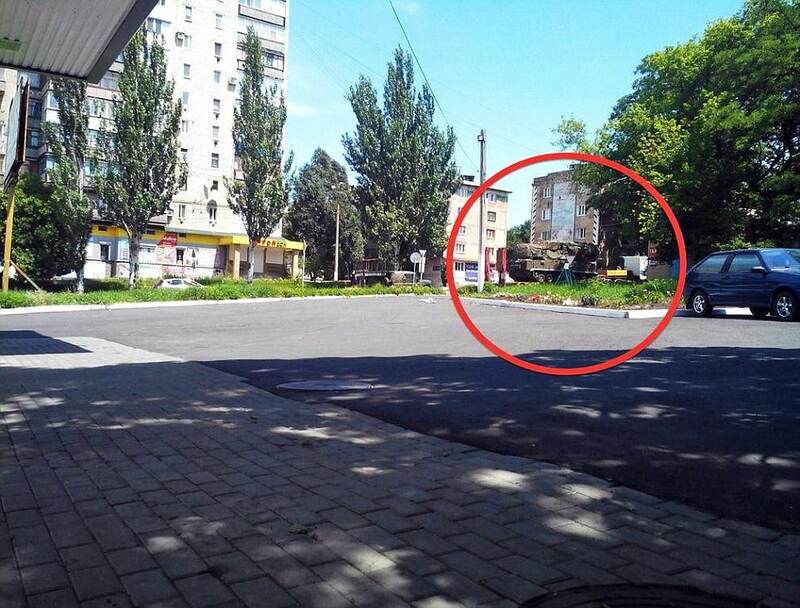 Later that morning at 9 a.m., it arrived in Donetsk, but was later moved to Pervomaisk. After the Malaysian passenger jet was shot down, the Interior Ministry’s intelligence unit recorded a crawler tractor carrying a missile system moving towards the border of Russia. The video clearly shows missiles, with the middle one of three missing. And there was this contemplation via rferl.org which points to the complexity of ultimately proving who bears responsibility of MH17 going down: In a conflict where disinformation has become the norm, neither the videos nor the Girkin post can be verified with any finality. 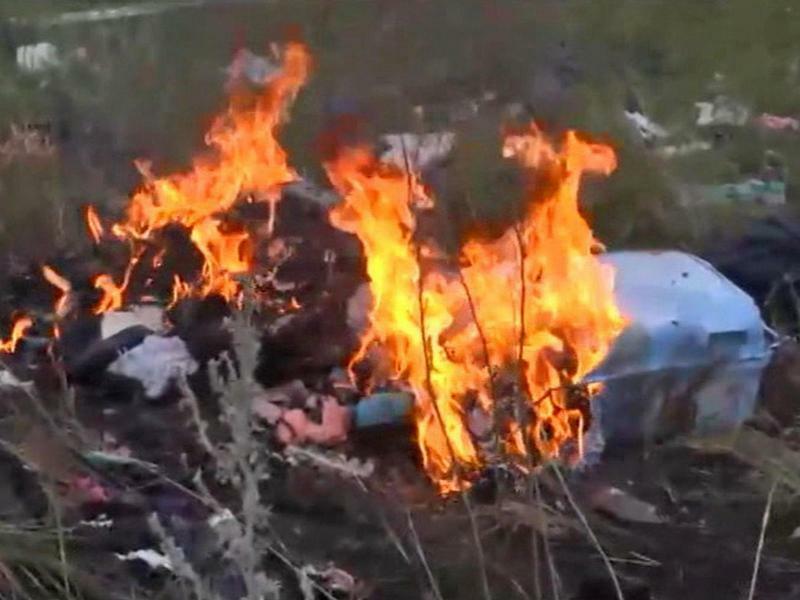 But suspicion of rebel involvement is also bolstered by separatist claims they had shot down a Ukrainian SU-27 fighter on July 16 and a Ukrainian AN-26 two days earlier. The Ukrainian Defense Ministry said one of the jets was hit by a portable surface-to-air missile, not a MANPADS.